ETF Global: ETF Global Portfolio Challenge Wins FCS Award! 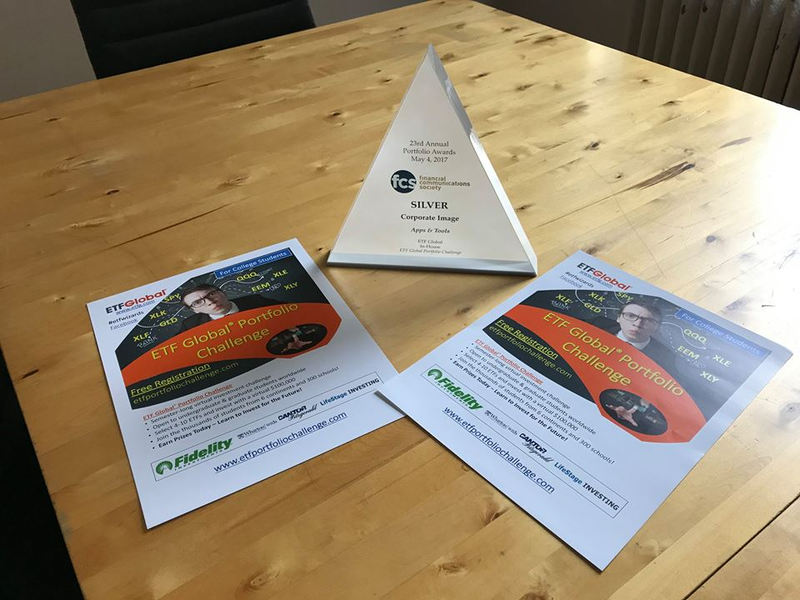 ETF Global Portfolio Challenge Wins FCS Award! We are excited to announce that the ETF Global Portfolio Challenge was awarded Silver for Corporate Image, Digital Media - Apps & Tools at the FCS Portfolio Awards! ETF Global received its award last Thursday, May 4th in front of a sold out crowd of 500 financial marketing professionals gathered at The PlayStation Theater in Times Square. 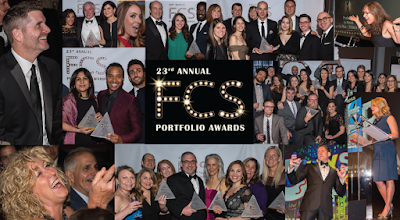 Now in its 23rd year, the FCS Portfolio Awards recognize creative excellence in financial advertising, collateral, digital media, public relations and marketing communications work from financial companies. ETF Global was selected by a judging panel of 29 industry experts who determined the award winners after considering over 400 entries. As a first time award winner, we are proud to join the company of such a marquee list of brands - see here for a full list of this year's award winners. This award was the culmination of two year's of exciting growth for our portfolio challenge and we eagerly look forward to building on our momentum in the years ahead. Attention students - registration for the Fall 2017 ETF Global Portfolio Challenge will open at the end of May. Please visit the contest website at etfportfoliochallenge.com for more information.